Yes, the Illinois legislature has enacted legislation to protect pedestrians. What Laws Protect Illinois Pedestrians? How Can Pedestrians Protect Their Rights In Court? How Can A Lawyer Strengthen My Illinois Pedestrian Claim? Want To Know How Illinois Law Protects Pedestrians? Illinois cases and statutes provide broad protections to pedestrians especially vis-à-vis motor vehicle drivers and bicyclists. Generally, it puts the onus on those operating cars, trucks, and other vehicles as opposed to those merely walking around. They cannot just driver around wantonly and without regard for others. Quite to the contrary, the law states that drivers ‘shall exercise due care to avoid colliding with any pedestrian.' 625 ILCS 5/11-1003.1. (a) When traffic control signals are not in place or in operation, the driver of a vehicle shall stop and yield the right-of-way to a pedestrian crossing the roadway within a crosswalk when the pedestrian is upon the half of the roadway upon which the vehicle is traveling, or when the pedestrian is approaching so closely from the opposite half of the roadway as to be in danger. (b) No pedestrian shall suddenly leave a curb or other place of safety and walk or run into the path of a moving vehicle that is so close as to constitute an immediate hazard. 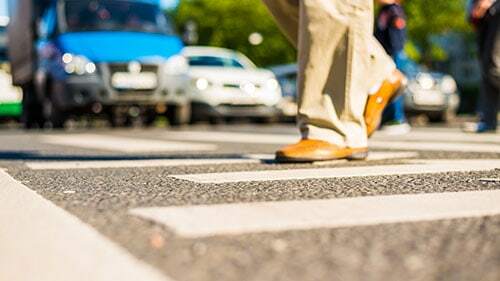 There are other ways in which Illinois law protects pedestrians but this is the overall framework: drivers must exercise care when walkers are present and yield to them where appropriate. There are a number of ways in which you can protect your rights through the legal system if you are involved in an Illinois pedestrian accident. The first thing you must do is file a lawsuit on time. Illinois only gives you two years to file a case for personal injuries so it's important to meet that deadline. The next way that you can preserve your rights is to seek medical attention immediately following the incident and have your doctor memorialized your injuries extensively. This will combat any attempt by the defendant to reduce or completely destroy your claim for damages. Then, once your case has begun, cease all communications with the defendants, their lawyers, their representatives, their insurance carriers, or any of their other agents. This will guarantee that you don't weaken your case through inadvertent disclosures or misrepresentations. Finally, hire a competent personal injury attorney. Why should I hire an Illinois personal injury attorney for my pedestrian injury claims? We answer that in the next section. Engaging qualified counsel has a number of advantages if you are involved in an Illinois pedestrian accident. First, it will ensure that you have the resources to compete. Many firms, such as the Rosenfeld Injury Lawyers LLC, front all money, staff, and materials necessary at no charge to make sure that the difference between recovery and failure is not money. We have sufficient capital to guarantee that we can represent you on our dime and that is a great benefit hiring a lawyer for pedestrian claims or any other form of personal injury claim. Second, it will ensure that you have experts on your side. Personal injury cases are messy, complicated events and require expert counsel to sort through the facts, identify your claim, polish it, and present it to a jury. Third, it will ensure that you have personnel keeping you informed of case developments at every step of the dispute. In the midst of a busy life, this might be the most valuable tool that capable law firms can offer you. Finally, it will ensure that you have a passionate representative on your side fighting back against the strong and deep-pocketed defendants. Rosenfeld Injury Lawyers LLC meets and speaks with injured pedestrians in the Illinois area. We tirelessly help them get the recoveries that they need and deserve. We can fight for you too. Like our other clients, we can work for you on contingency so that you don't pay a dime unless you are satisfied with the award. Want to know how Illinois law protects pedestrians? Want to begin walking down the road to recovery? Call the Rosenfeld Injury Lawyers LLC today and we can show you the path. How Long Do I Have To File A Personal Injury Lawsuit To Recover Compensation For Injuries Sustained As A Pedestrian? 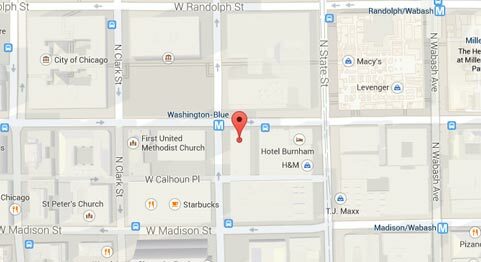 I Broke My Leg In A Chicago Pedestrian Accident; Can I Recover Compensation To Pay For Future Surgeries? Will I Need To Pay Any Money Up Front For An Attorney To Represent Me In A Chicago Pedestrian Accident Case?